Whitetail season is upon us in Michigan, and while that’s a good thing for the hunters in our area, it’s not always welcome news for drivers. The fall rut is typically the most dangerous time of the year for drivers in Michigan, and the problem is often compounded by the fact that many people are out and about in mid to late November celebrating the holiday season and shopping for Christmas presents. With these concerns in mind, many police departments in Michigan are urging drivers to be as careful as possible when driving during the rut. Deer generally do not stop to look both ways before crossing roads, and that means that you could very well be forced into an encounter with a deer running across a street in the next couple of weeks. According to MLive, there were more than 46,000 motor vehicle accidents involving deer in 2016, and there are expected to be even more in 2017. Fortunately, there are steps you can take to reduce the risk associated with driving during whitetail season. You can start by slowing down, particularly when driving throughout heavily wooded areas. Keep a close eye out for deer lurking in your peripheral so that you can prepare to stop, if necessary. Additionally, try to avoid roadways that are known to have a lot of deer on them, especially at night. 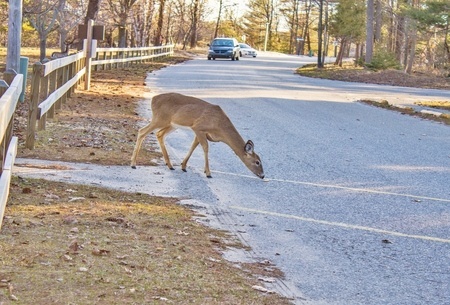 While it’s impossible to completely eliminate the chance of hitting a deer with your vehicle, adhering to these basic safe-driving practices can make a big difference. This hunting season, make sure you come home with a deer in the back of your truck, rather than on the front of your bumper.